DNS Accountants was established in the year 2005 and is now an award-winning accounting and financial consultancy for small businesses and self-employed contractors. DNS Accountants enjoys a national presence across all the major cities in the UK and provides accounting, tax planning, and consulting services to thousands of clients working in different areas. We are readily available to help our customers with all their financial and taxation woes that could possibly jeopardize their business. 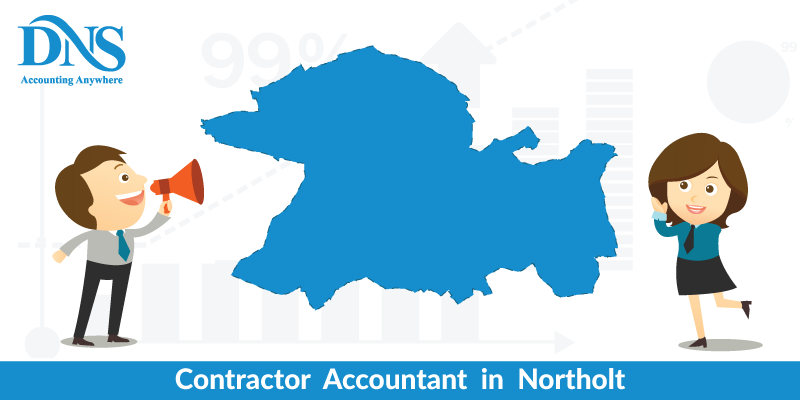 We are amongst the top 10 online contractor accountants in Northolt and nearby areas. Starting a business can be an exciting and challenging time for the start-ups. While you are occupied with critical decisions related to sales, recruitment, and implementation of your idea; more often than not the financial health of the company is overlooked. At this crucial time, a single mistake can have a severe impact on your business. This is where you need an expert accountant who can help you see a bigger picture regarding the health of your company! DNS provides a comprehensive range of services for its clients that ensure the smooth running of their business activities and enables them to focus on maximization of their business potential. Northolt is a town located in the London Borough of Ealing and approximately 11 miles from the famous Charing Cross. Northolt is well connected with London with excellent train and bus connectivity. Northolt is a thriving township with a lot of small businesses and start-ups thriving in the area. It provides immense benefits to businesses with its proximity to London. Corporate sector and financial services sector growth will be slow in 2016-17. But the growth of these areas should remain positive. As a result, there is a high demand for professional accountants and consultants to help the business owners in Northolt with their accountancy and taxation issues. DNS is now extending its expert accounting services to the people of Northolt to help them enjoy the benefits of an expert accounting and finance consultant. The only thing you need to concentrate on is your business; the rest will be taken care of by us. We will take care of your year-end accounting services. We ensure you that your year-end accounts are finalized quickly by day-to-day bookkeeping. Our services will prove to be extremely cost-effective for your business. We will also help you complete your incomplete accounting records with the same efficiency. 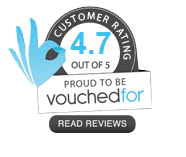 We highly recommend you to subscribe to the whole year end accounting service so that our expert Tax Accountants in Northoltfinish your year-end accounts quickly and file them with HMRC. When you subscribe to our entire year accounting services, our experts concentrate on identifying areas where tax efficiency can be improved and will inform you about it. The tax efficiency of all stakeholders is maximized the after-tax position of stakeholders is reviewed around the year end and after discussing and implementing further actions and recommendations if any. When you subscribe to advance year end accounting, we will let you know how much tax is owed from your side, so that you can plan ahead. Once you subscribe to our service, we deal with all the work from start to finish. We will complete all the formalities, and we will deal with all your transactions and respond to your queries very quickly. You should consider Business Investment Relief if you are not a UK resident and wish to invest offshore funds. It is one of the most generous tax reliefs in a decade. Business investment relief is a good source to find investment for your business. It is a good place to look for potential investors. It was first announced in April 2012 by UK government. It was introduced to attract investors from abroad to the UK. BIR provides businesses to investors and investors to businesses. It is a very attractive opportunity. Though it is one of the most generous tax reliefs, the rules involved are very complex. To secure BIR, many conditions have to be satisfied. Financial and domicile circumstances of non-residents are complex too. So, HMRC offers a statutory clearance procedure before making any BIR investment. Potential investors should consider this as an opportunity and exploit it. Otherwise, the investment will be taxed as a remittance. The residency status of an individual, trust or company who wishes to invest is central to Business Investment Relief to determine if there is a liability arises to UK tax. Statutory Residency Test (SRT) determines whether an individual is a UK resident or not for the purpose of Income Tax and Capital Gains Tax. The investor can be a UK resident or a “relevant person’’ who wishes to invest in the UK with offshore funds. There is a wide scope for the conditions related to the “relevant person” and there are no exclusions to the relief for the “relevant person” who is connected with the investee company. The company which invests need not necessarily be in UK and business investment relief is not limited to these enterprises. BIR can be combined with other schemes like Enterprise Investment Scheme (EIS), Seed Enterprise Investment Scheme (SEIS) if the investee company meets the requirements. DNS Accountants helps you in making use of this great scheme and can handle all your paperwork and legal compliances to ensure that you do not face any legal hassles later on. DNS has carved a distinct identity for itself in the market based on professional and accurate services to start-ups, small businesses, freelancers, contractors, and individuals. Along with Northolt, our services are also available at Harrow, Wembley, Slough, Sunbury and Egham. So you need not think twice, join hands with us and watch your business scale greater heights.